Multi-layered floors - all the benefits of a solid wood floor with none of the drawbacks! They're beautiful to look at, very simple to install, and incredibly easy to maintain. AND best of all, these floors are all on offer! 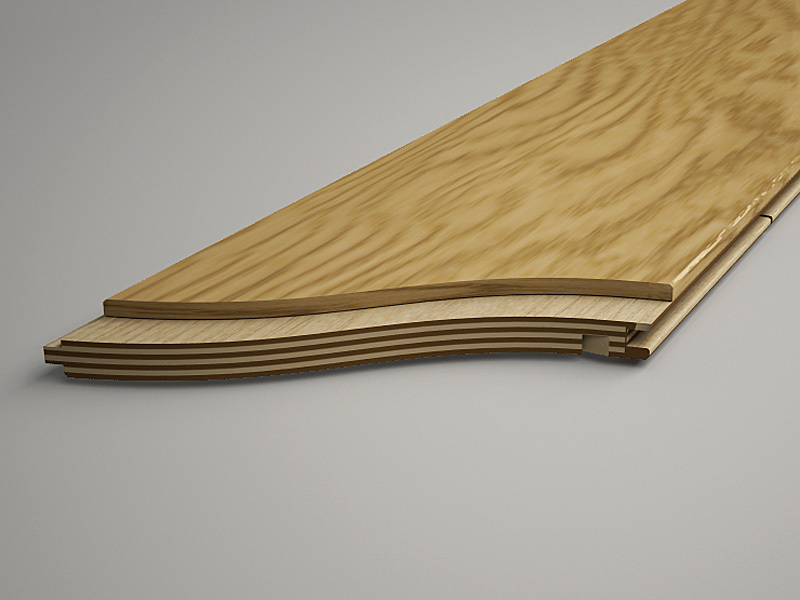 With a 3mm - 6mm wear layer of wood and a number of layers of 1.5mm plywood, all bonded together and running at 90 degrees to each other, these floors are anywhere between 15 - 22mm in thickness and are incredibly strong. Multi-layered floors are therefore able to support a thicker wear layer which not only makes them a lot more durable but also means that they can be re-sanded and resealed many more times than an engineered floor, giving them a much longer life. Some are thick enough to be used as load-bearing floors and can therefore be laid on joists. Most multi-layered floors have tongue and groove joints which means that they have to be glued together, although in some cases, such as on joists or timber sub-floors, they can be secret-nailed.